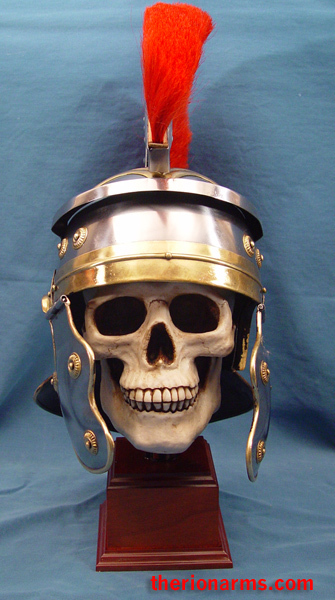 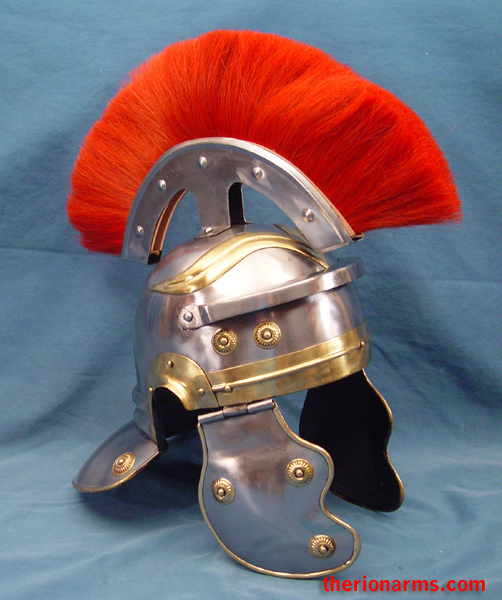 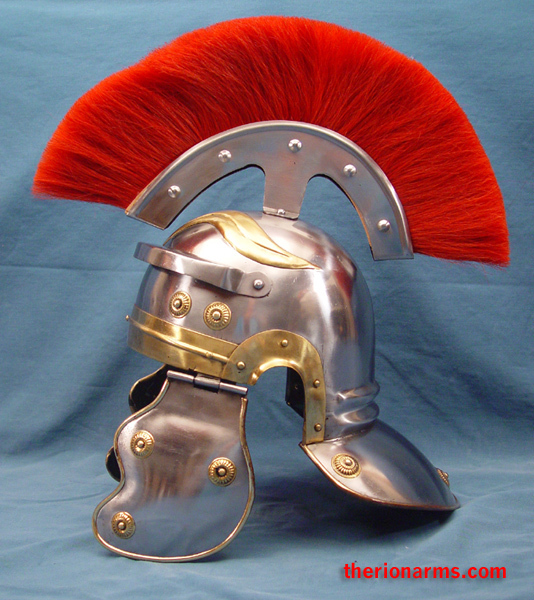 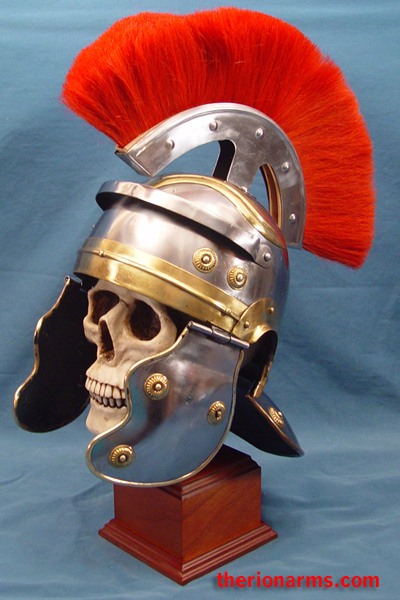 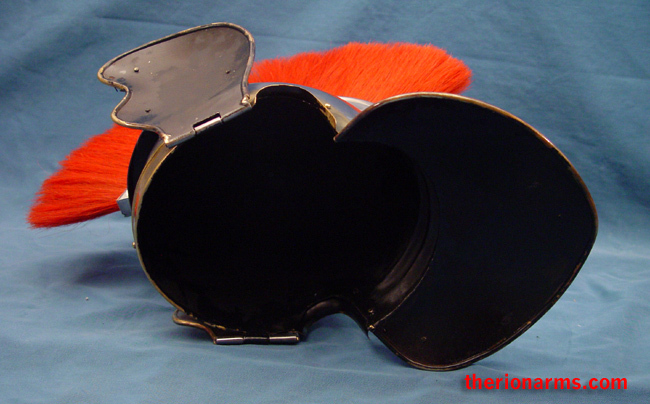 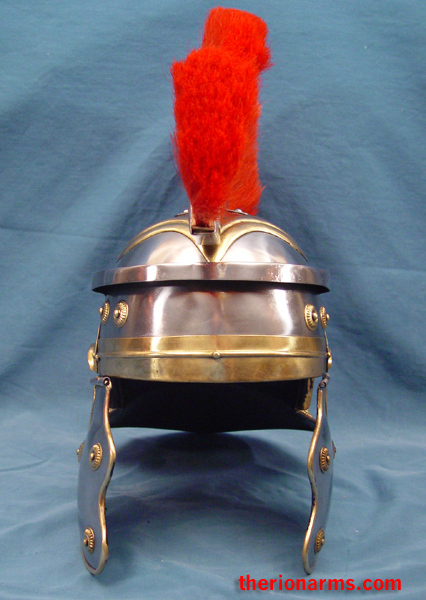 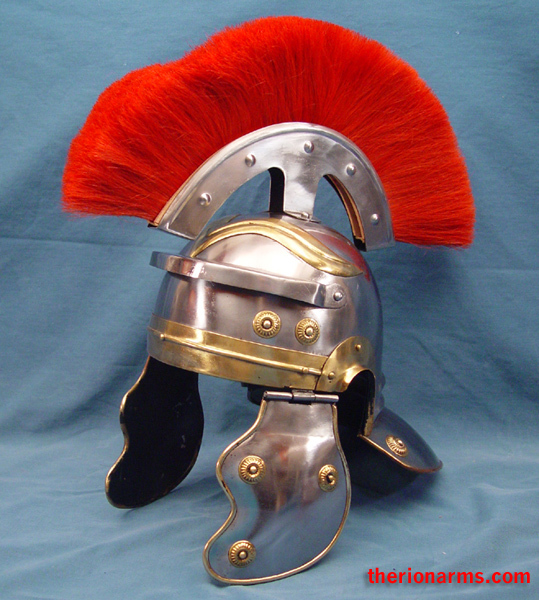 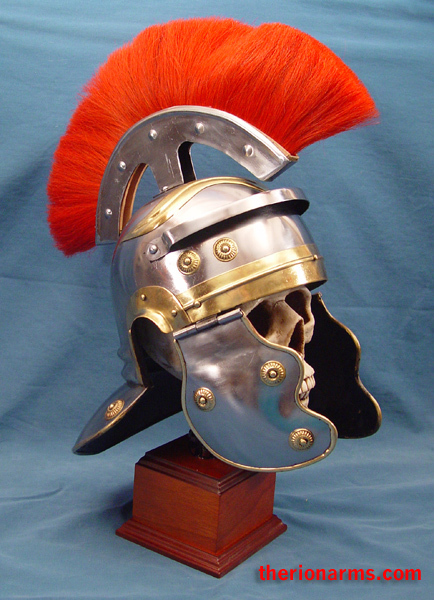 Classic height-of-the-Empire Gallic style Roman helmet with fixed horsehair crest. 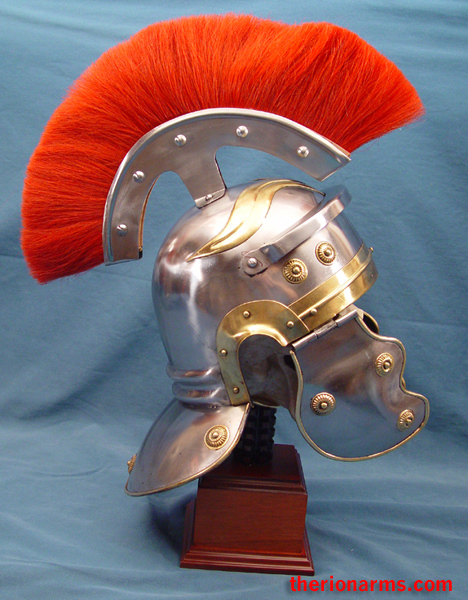 18 gauge steel with brass trim. 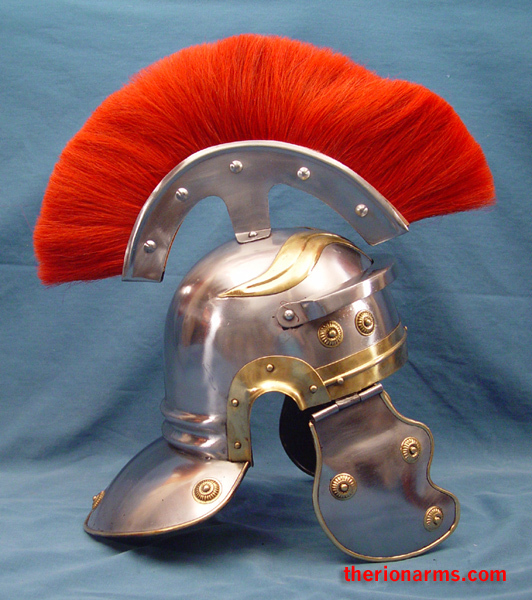 Budget priced so you can quickly equip the entire cohort! 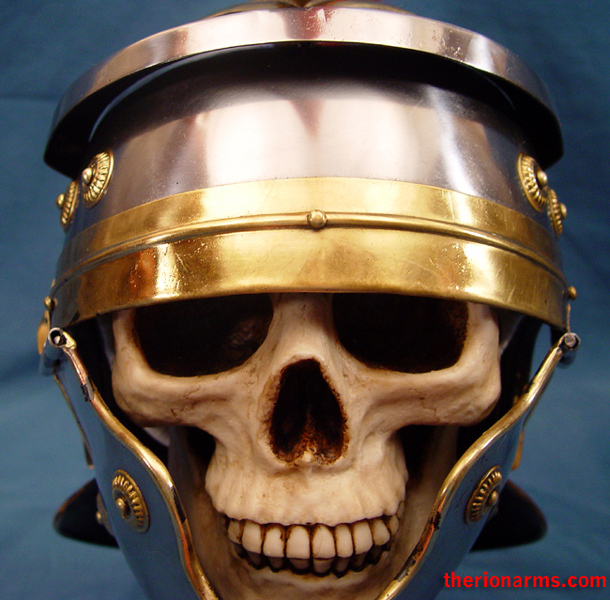 (inquire by email for full legion quantity rates). 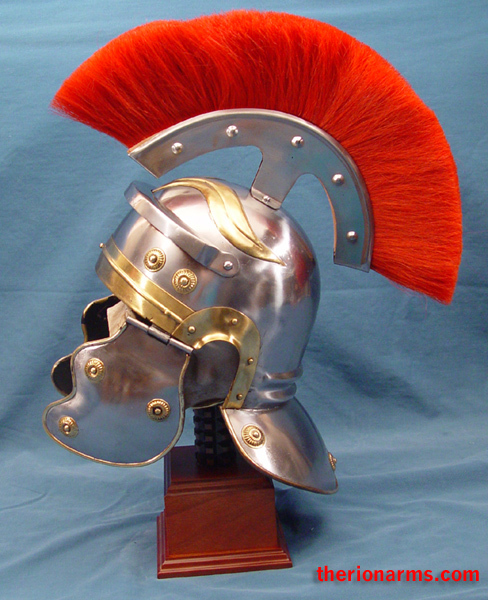 Also available with a detachable crest.